Children have to lose their baby teeth to allow them to grow permanent teeth. Adults mainly lose their teeth because of injuries, gingivitis, and periodontal disease. When you lose your adult teeth, you are facing certain consequences that may not be apparent or obvious to you. When you lose a tooth, the bone that supported the root atrophies and disappears to allow your other teeth to fill the gap. When you lose more than one tooth in a row, it can slightly change the appearance of your jaw. Speech is more complex than most people realize. Your teeth help you make sounds like ‘s’, ‘f’, and ‘th’. When you lose your teeth, you may have to seek the help of a speech pathologist to help you form clear and understandable words. When you lose a tooth, you may find it difficult to chew certain foods. It can place a great deal of stress on your other teeth and one side of your jaw. People who lose their teeth often get problems with their digestion because they don’t chew their food properly. Without your teeth, you may stop smiling or speaking clearly out of fear that someone may see that you have teeth missing. Self-consciousness about your teeth can start having an impact in other areas of your life like work performance and your relationships. These hidden consequences may seem detrimental to all aspects of your lifestyle. Luckily, technological advancements in dentistry make it possible for you to avoid these consequences. If you lose your teeth, make an appointment with a dentist or dental prosthetist. Tooth decay, one of the reasons for tooth loss, can be easily prevented. Make your dental care a priority by brushing and flossing your teeth every day. 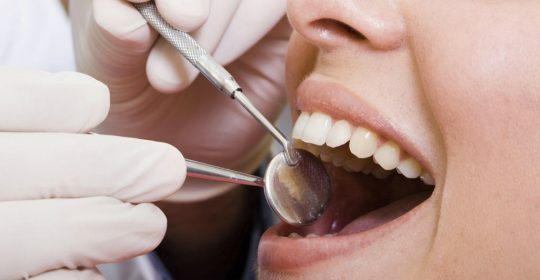 Pay your dentist a visit every 3 or 4 months, and you may be able to prevent tooth loss and its hidden consequences. This is precisely what I require. I have never thought the selection representatives give careful consideration in online networking like that. It’s fortunate that I have gorgeous profile in informal community. The blog was absolutely incredible. Lots of extraordinary information which can be helpful in a few or the other way.